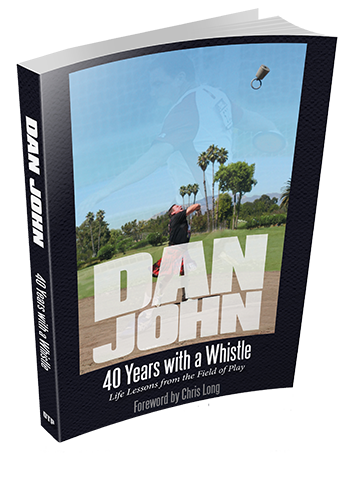 This weekend, at Net Profit Explosion, I found out that Sean Greeley had “required” everyone to read my free book on my site (danjohn.net) “From Dad to Grad.” I wrote it for my daughter Kelly’s Eighth Grade Graduation. For Lindsay, I hand wrote a huge journal-like book that answered and addressed dozens of questions. Between the two works, I like to think I am leaving a legacy of my heart and mind. It’s what the Ale-Wife told Gilgamesh on his way to meet with Uta-Napishtim, too, so I am not the first to say this either. One of my favorite sites on the net, Zen Simplicity, had a post today that sings this same song. It’s worth your time to read this. Every so often on the net, I read someone say that I sold out because of this reason or that reason. I guess that could be true, but I hope that my body of work, both as a fitness guy and a human being (“human doing?”), reflects my core mission: Make a Difference. Let’s continue to meet and dialogue and leave this tiny blue-green orb a better place than when we got here.